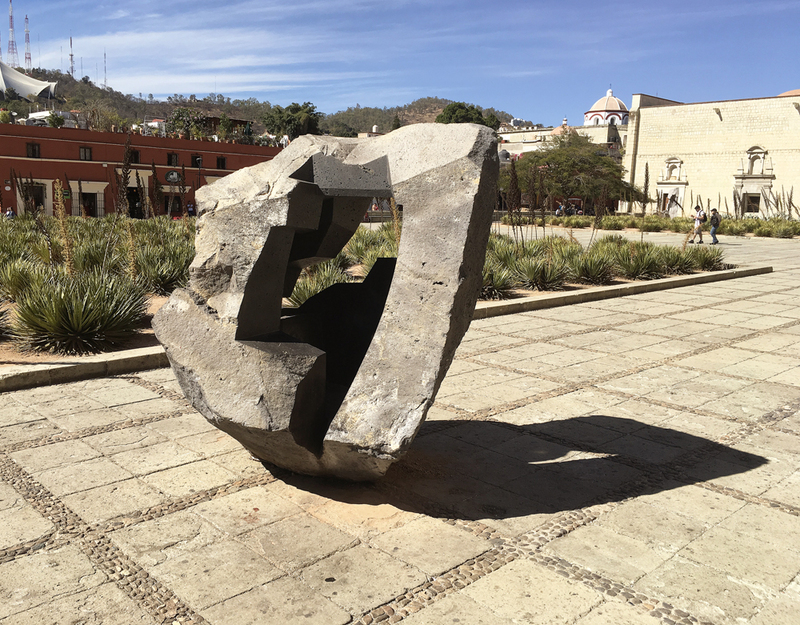 While I was in Oaxaca, I got a chance to see an exhibition of sculptures by Jorge Yázpik at the Museo de las Culturas de Oaxaca. I’m not sure how well known he is, but he’s at the top of my list. 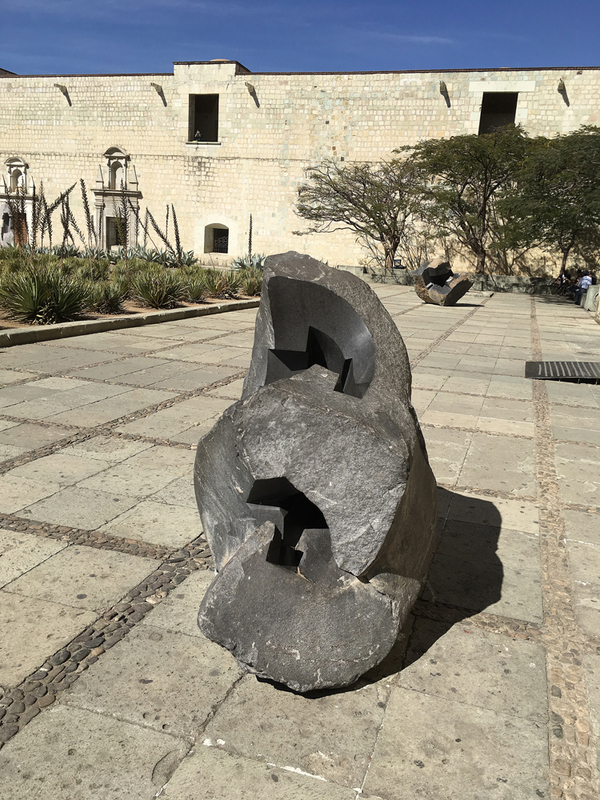 He does abstract sculpture in several mediums — stone, wood, metal, some kind of polycarbonate — and I’ll show some of the work that was on exhibit inside the museum, but in this post I want to focus on his large basalts that were outside in the plaza. Really interesting, a little hit or miss, but the ones that hit are terrific. With this one, from a couple of angles it doesn’t look like he has done much to the stone. 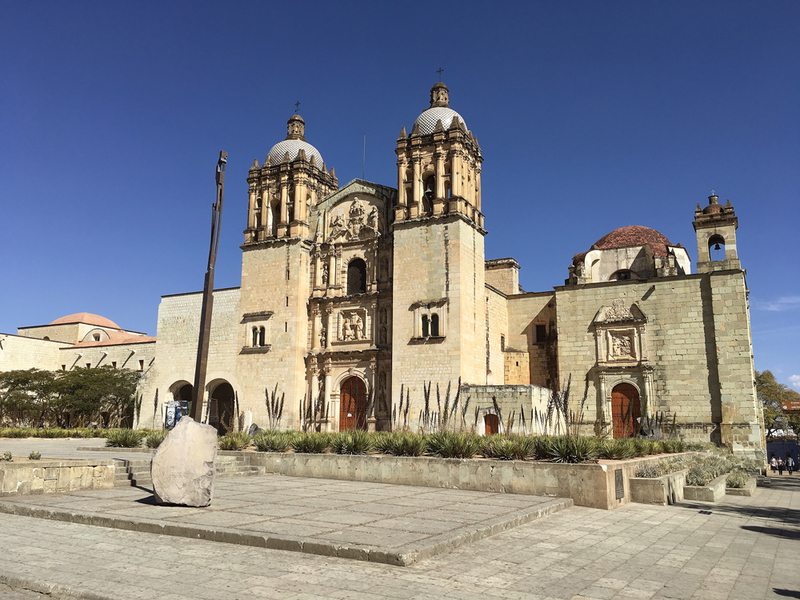 But then from another angle you can see he carved out the entire heart of the stone, enough that you can climb inside it. 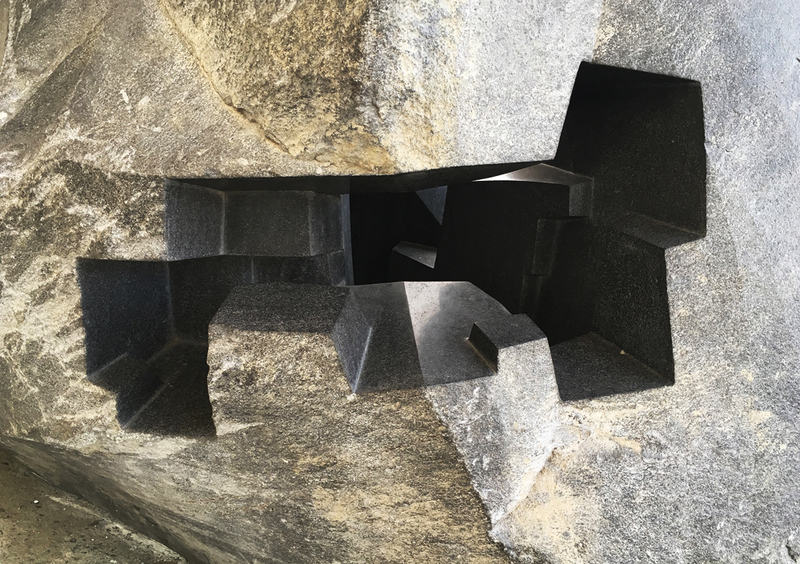 I’ve possibly seen something like this in other media, but I can’t think of another sculpture that lets you climb inside a single monolithic stone. People loved posing for photos inside it. But the one that got me is this one here. 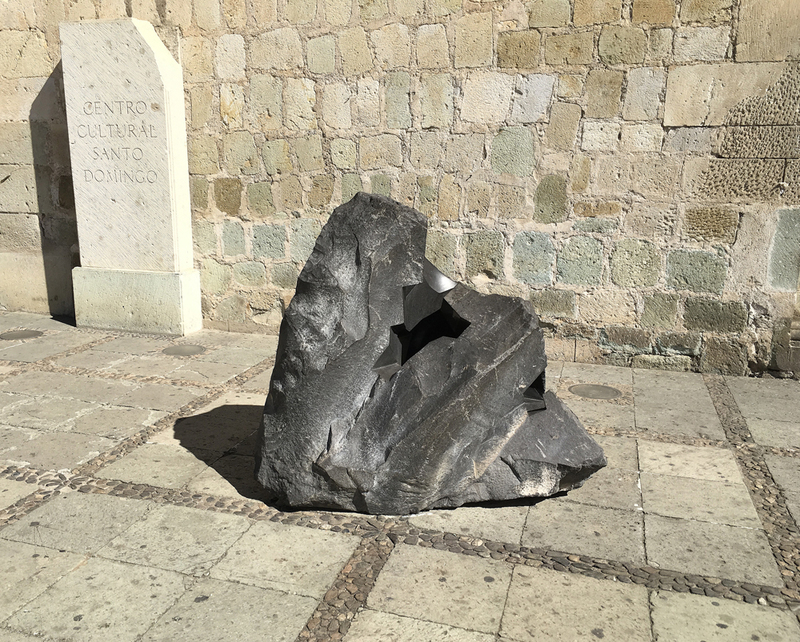 It’s not terribly striking at first glance, a dark, vaguely heart-shaped chunk of basalt, roughly the same form that came out of the quarry. But that’s not the sculpture per se, it’s more like the mould for the sculpture. 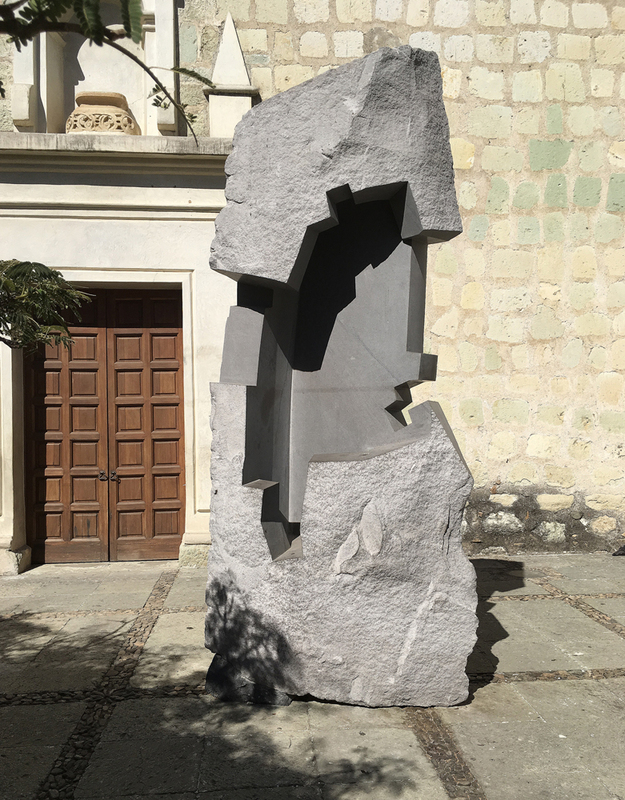 The sculpture is the void he has carved out, the negative space he made within the stone. 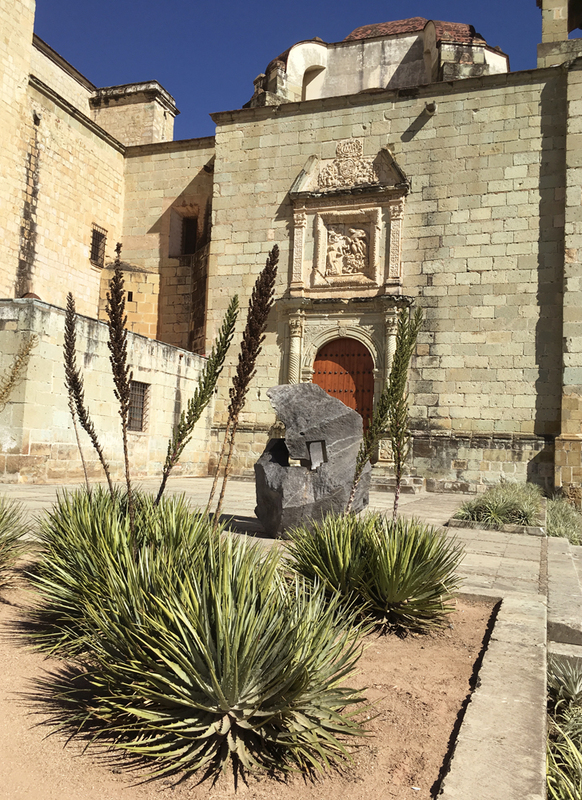 In the photo it has a graphic quality, but in person the void is really strong, really three dimensional. He could cast a bronze of it, but he doesn’t need to, it casts the form in your mind. It does the same thing from the other side. The outer form is a little more compelling from this angle, rising to a prow, but again it’s the negative space that’s the subject, this time with sort of a jack-o-lantern smile. 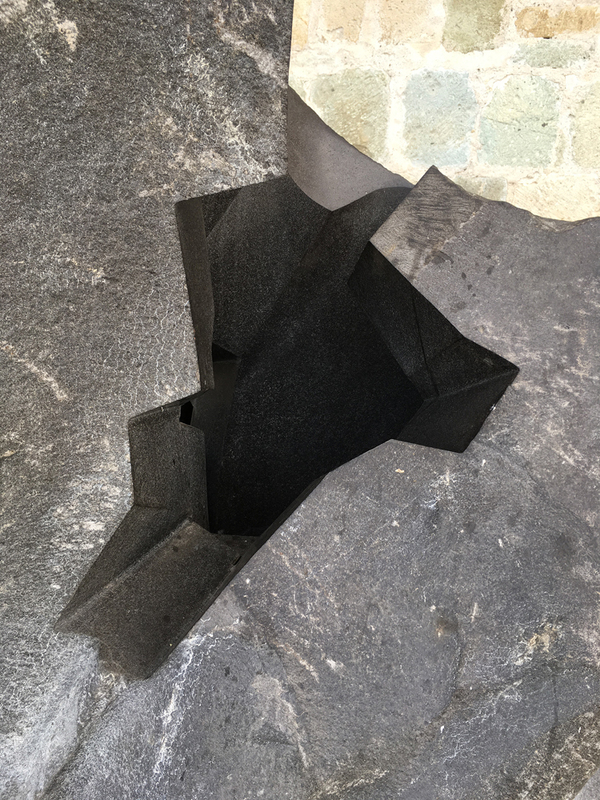 I also like how the stone is wedged with a chunk of rock from the floor of the workshop, seemingly chosen without much care but important enough to be packed with the sculpture and shipped from Mexico City. 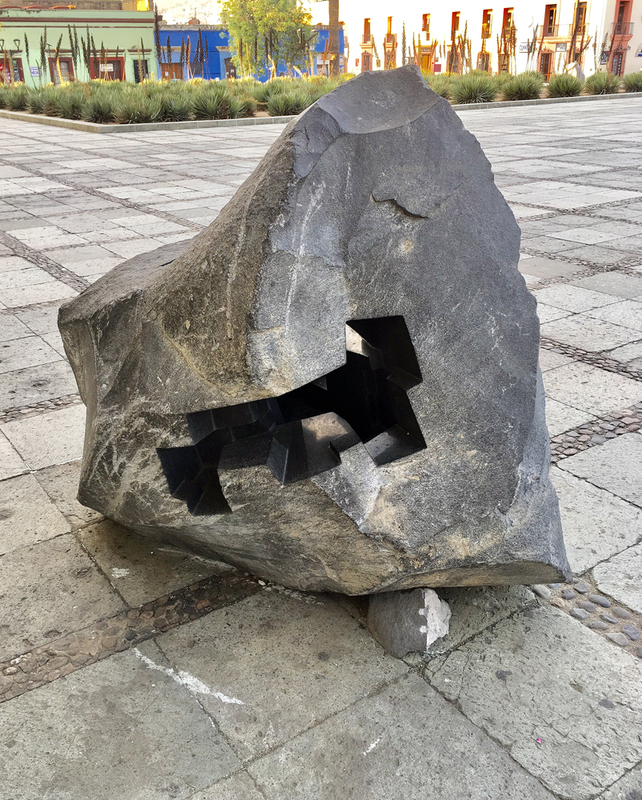 I don’t know of anyone else who is this effective at creating negative space within a stone. This vertical one is also great. It’s more about the overall form, sort of an abstract version of a moai. 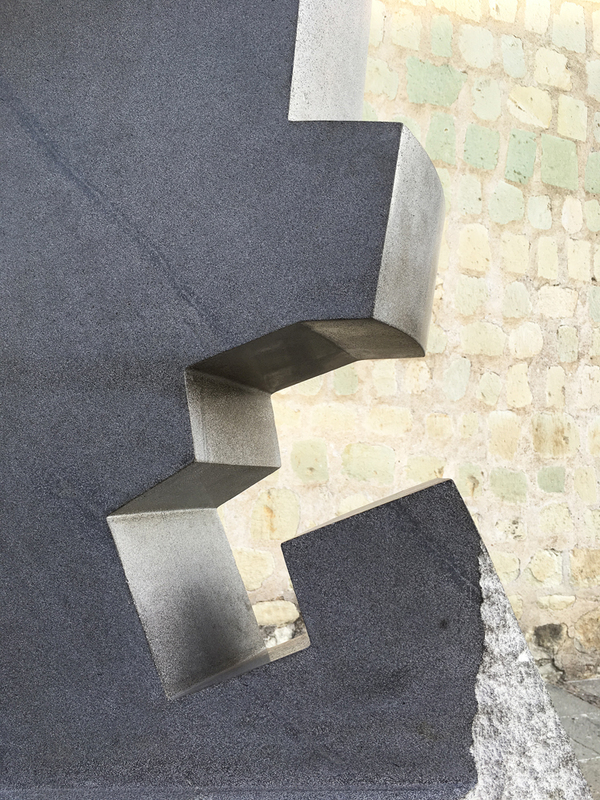 The close up has a beautiful geometry, both the polished interior and the natural skin of the stone. 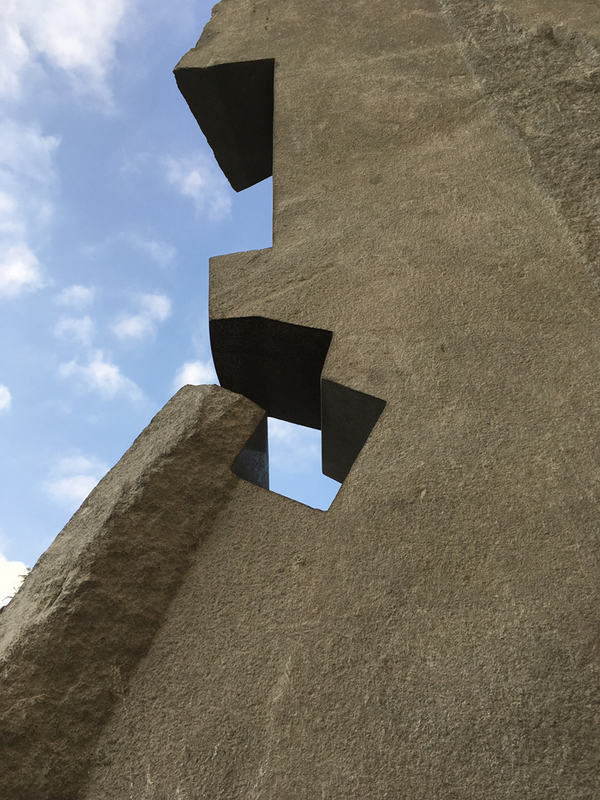 You are currently browsing the DryStoneGarden blog archives for August, 2017.